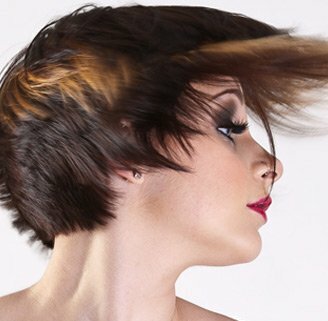 Hair Dreams hair extensions are a ONE-OF-A-KIND, UNPARALLELED HAIR QUALITY AND PATENTED SYSTEMS ENABLE STYLISTS TO MAKE ANY HAIR DREAM COME TRUE, GENTLY AND DISCREETLY. Hairdreams only uses refined, hand-selected 100% real human hair, that is characterized by the extraordinary healthy, natural-looking appearance and feel of the hair, resulting in a natural bounce and elasticity. The hair is purchased around the world based on strict ethical principles. It is tested with extensive Hairdreams quality control standards and patented with the most gentle processing method. Nano hair extensions have proved to be the most popular and quickest of the ring application methods. A nano hair extension strand is applied in seconds! If you’re looking for high quality real hair extensions, but are concerned about the damage they can do to your hair, these Nano hair extensions are the perfect hair extensions solution. We also have Volume plus Solutions for more volume, giving women with fine, thinning hair or hair loss their natural hair volume back. Volume plus extensions make it possible to fulfill any hair dream! No matter what your hair needs are, Meche salon will provide a FREE consultation and ensure we customize a look to exceed your expectations!